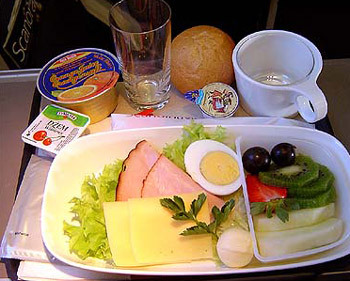 SAS Scandinavian Airlines System is wholly owned by SAS AB and was founded in the year 1946. The multi airline for Denmark, Norway and Sweden operates from its three main bases/hubs and flies to over 112 destinations. The hubs are Copenhagen Airport, Stockholm-Arlanda Airport and Oslo Airport, Gardermoen. SAS has been the leading airline transport company in the Scandinavian countries and it is also formed the Star Alliance group together with Air Canada, Lufthansa, Thai Airways International and United Airlines. EuroBonus is SAS frequent flyer program and Scandinavian Lounge & Business Lounge is its member lounge. SAS has a few subsidiary airline companies. They include Scandinavian Airlines International for its long haul routes to North America and Asia, Scandinavian Airlines Danmark, Scandinavian Airlines Sverige and Scandinavian Airlines Norge. 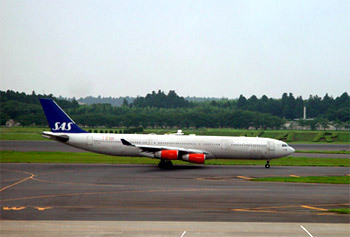 The SAS Scandinavian Airlines passenger fleet includes Airbus A319-100, Airbus A321-200, Airbus A330-300, Airbus A340-300, Boeing 737-400, Boeing 737-500, Boeing 737-600, Boeing 737-700, Boeing 737-800, Fokker 50, McDonnell Douglas MD-81, McDonnell Douglas MD-82, McDonnell Douglas MD-87, Aerospatiale/Alenia ATR72, British Aerospace 146-200, Canadair Regional Jet, Fokker 100, McDonnell Douglas (MD-80 Series) and British Aerospace 146 (All Series). - Chicago - New York - San Francisco - Seattle - Washington D.C. Check flight schedule, flight status directly from Scandinavian Airlines official website. You can also check on the cheapest airfare, flight schedule, flight status, airlines offices, contact number, airlines packages, air cargo partners, air ticket prices and booking procedure, international airfares, frequent flyer and other flight information and travel deals and packages. When you are making an airfare booking, select from either economy airfares, business class airfares or first class airfares whichever you prefer. Have a pleasant flight journey and enjoy your holidays or business trip!